Income inequality in this country is, quite shamefully, at an all-time high. People work grueling 12-hour shifts for little pay, and many single parents are forced to juggle two or three jobs just to get by. With around 15 percent of Americans living below the poverty line, there’s only one solution: We must either raise the minimum wage or lower the price of lobster, now. Let’s look at the facts: It’s been six years since the federal minimum wage was adjusted. And considering the changes to lifestyle needs and food costs, we must recognize that if we don’t raise the minimum wage soon, then it’s high time we subsidize lobster. Just look at Walmart, a multibillion-dollar multinational conglomerate that pays its employees a meager $250 a week. These people are asked to survive on virtually nothing, and unless the government is willing to increase salaries or put all of its efforts into funding delicious, juicy 24-ounce tails imported from the blue waters of Maine, that needs to change. Currently, our mandated nationwide minimum wage is $7.25 per hour. How can we remain silent while restaurant-quality lobster bisque costs $10 a cup and a lobster roll from the coast of Cape Cod costs $15—and that’s not even including condiments? …if we don’t raise the minimum wage soon, then it’s high time we subsidize lobster. Really, we’re not asking for anything unreasonable. We’re not demanding that the government just hand out money or publicly finance all-you-can-eat claw-fests each day. Assuming low-wage workers don’t get paid humanely soon, we’re just asking for fair and reasonable lobster prices—something we all deserve. Still not convinced? 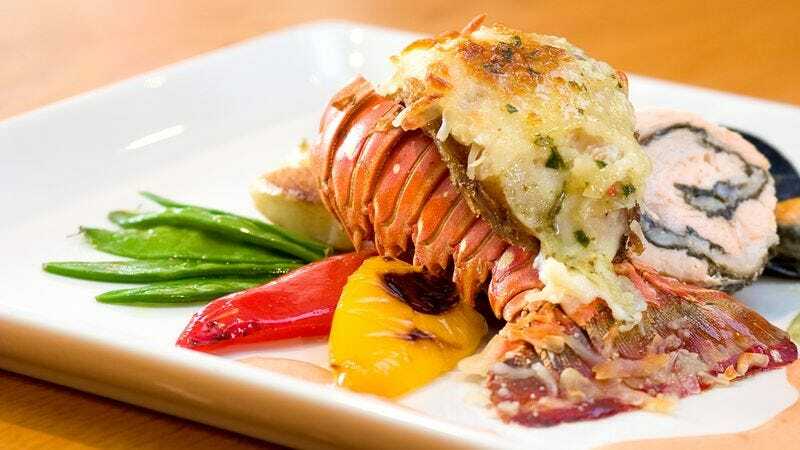 Lobster is delicious coated in butter and dipped in a tangy cocktail sauce. Unfortunately, we all know that fair pay isn’t going to create itself, and the seafood market isn’t just going to lower its own prices. So, let’s stand up and either fight for delicious seafood or pay. Let’s hold our government accountable, have them make that decision, and then act on it once and for all.